Base64 Tools for Encoding and Decoding data. 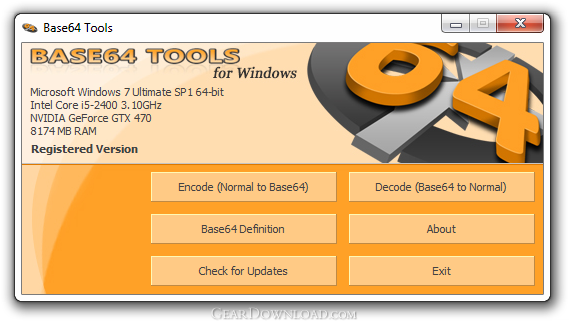 Base64 Tools for Windows is a utility, which allows you to Encode and Decode File, Text, String, URL and any other data and if you are a Software Developer you can also check out our Base64 Encode/Decode ActiveX DLL Library used in this application. This download (Base64Tools-Setup.exe) was tested thoroughly and was found 100% clean. Click "Report Spyware" link on the top if you found this software contains any form of malware, including but not limited to: spyware, viruses, trojans and backdoors.